Jake Gyllenhaal is an interesting actor. He isn't necessarily a huge name in the film industry but still manages a leading man quality that makes him instantly recognizable and charming. His choice of roles lend him a very credible reputation, but it is clear the guy wants to be a movie star. with his past two attempts at this (Prince of Persia and Love & Other Drugs) received lukewarm reviews as well as box office numbers, although I thoroughly enjoyed both of them, what his latest role affords him is a chance to both be looked at as a credible, indie actor with big movie star appeal. 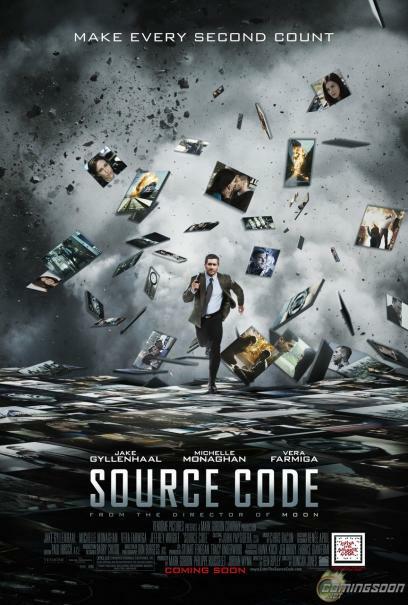 "Source Code" is a science fiction lovers dream, it is an emotionally charged story that functions only through the science of its story. It is pure in its genre and though it never reaches a point that signals the film ever really got going, it is no doubt a smart film and one that will leave you discussing its complicated plot as you leave the theater. Director Duncan Jones, whose only previous feature "Moon" is a science fiction gem in its own right, proves he has a real skill for studying the human psyche. 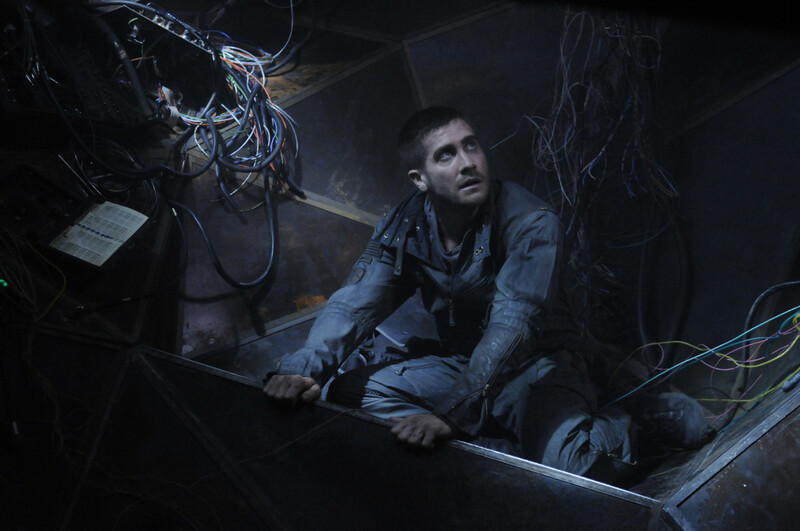 As Gyllenhaal's Captain Colter Stevens awakes to open the film we find him on a train and along with him we have no idea as to how he got there. In what could have been a mess of a plot that easily parodied "Groundhog Day" Jones instead grips us from the very beginning and cleanly lets the details unfold as to why Stevens is there and what exactly is going on around him. Jones allows us to stay close to Stevens, only ever knowing as much as he does, we are on the edge of our seats as well wondering how this is all possible and in what way the "source code' can actually function. What makes the film all the more intriguing is the idea that explains how all of this might be possible, of course it doesn't seem something like this could ever truly be plausible, but the creator of source code played here by Jeffrey Wright sure does make it sound convincing. Speaking of Wright, while he adds some nice weight to the casting his character is a cliche ridden mad scientist who only wants what will benefit his project and a will to easily dismiss anything that hinders that goal of seeing his creation flourish. It is almost laughable when he spouts some of his lines, but the presence of Vera Farmiga only helps. Farmiga isn't given much to do except be a face on a computer screen, but it is the female presence in this film (much like the one in "Moon") that anchor our protagonist and make them come to their epiphanies of what is truly valuable in life and what exactly is worth living for. Demonstrating this even more so than Farmiga here is the adorable Michelle Monaghan, not only does she escalate Gyllenhaal's performance to something that is truly worth taking note of in the film, but she adds a romantic story line to the film that doesn't feel forced. A developing love interest in a sci-fi story could always come off as something to allow the story to appeal to a broader audience, but here it feels genuine and needed. it is the rock on which Stevens builds his case to carry out his duties. 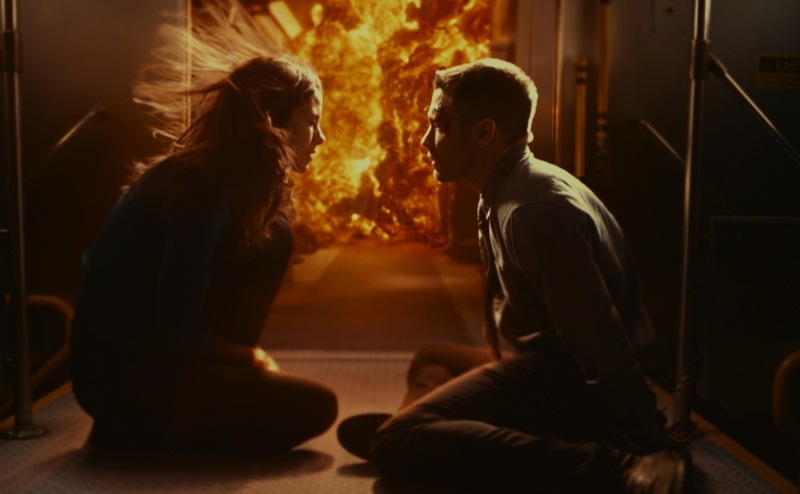 There will no doubt be spectators who find plot holes and question the logic of some of the points the film asks us to believe it is best to just take the film as it comes. I may have not fully understood how everything worked, but I understood what made this possible and more importantly, why it mattered. 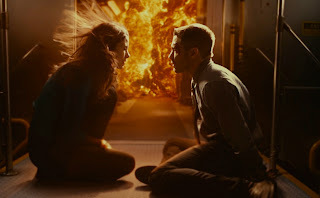 It is an engaging film, and Director Jones paces his film so as the concept never gets tiring and so that his audience is involved from that first moment the first bomb goes off. It also makes Gyllenhaal seem more and more like the movie star he wants to be, an action hero but one who functions within a film that has its priorities in order.